No building in America represents freedom more than The White House, and no trip to DC is complete without a White House visit. 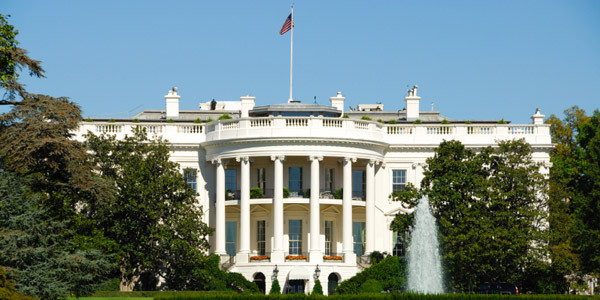 Take a stroll by the famous 1600 Pennsylvania Avenue address or arrange a self-guided tour with your local Member of Congress or Embassy in Washington DC. If you're lucky enough to be in town during one of the open to the public tours, you will not want to miss your chance to get up close to the first family. The official home and office of the President, the White House is an architectural masterpiece and a symbol of democracy and the American ideal. Self-guided tours are available on weekdays and requests must be submitted by your Member of Congress. Submission will be accepted on a first come, first serve basis and can be sent in up to six months in advance. All tours are free of charge. Popular guided tours are the Easter Egg Roll and Kitchen Garden Tours. Where can I park by the White House? On street parking is not an option when visiting the White House. Use of public transportation is highly recommended and parking is available at nearby Metrorail stations. There’s a metro just a few blocks from the River Inn and the closest stations to the White House are Federal Triangle, Metro Center and McPherson Square.